Barbarian formed a powerful tag team with Warlord, known as The Powers of Pain and managed by #1 Paul Jones. 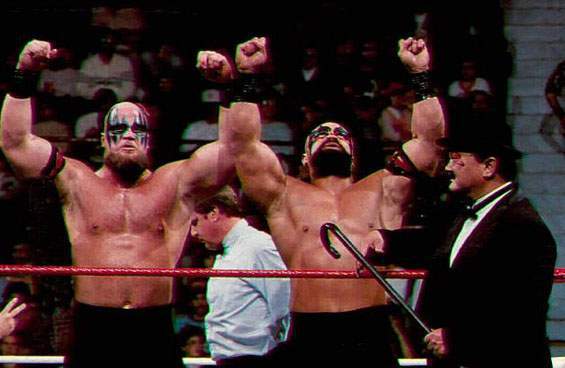 The Powers of Pain (Warlord and Barbarian) immediately began feuding with the Road Warriors (Hawk and Animal). March 27, 1988 – CotR: The Road Warriors and Dusty Rhodes beat The Powers of Pain and Ivan Koloff in a barbed wire match. The Powers of Pain jumped ship to the World Wrestling Federation as a babyface tag team, managed by The Baron. July 16, 1988 – Superstars: The Powers Of Pain (The Barbarian & The Warlord) defeated Iron Mike Sharpe & Tony Ulysses. July 24, 1988 – Wrestling Challenge: The Powers Of Pain (The Barbarian & The Warlord) defeated Brad Andrews & Tony Parks. July 30, 1988 – Superstars: The Powers Of Pain (The Barbarian & The Warlord) defeated Dave Wagner & Rick Renslow. July 31, 1988 – WrestleFest: The Powers of Pain defeated The Bolsheviks (Nikolai Volkoff and Boris Zhukov). August 13, 1988 – Superstars: The Powers Of Pain (The Barbarian & The Warlord) defeated Frankie DeFalco & Rick Gantner. August 28, 1988 – Wrestling Challenge: The Powers Of Pain (The Barbarian & The Warlord) defeated Al Navarro & Joe Cruz. August 29, 1988 – SummerSlam: The Powers of Pain defeated The Bolsheviks (Nikolai Volkoff and Boris Zhukov). September 3, 1988 – Superstars: The Powers Of Pain (The Barbarian & The Warlord) defeated Al Kirkland & Pete Sanchez. September 18, 1988 – Wrestling Challenge: The Powers Of Pain (The Barbarian & The Warlord) defeated Gene Ligon & Rusty Riddle. September 24, 1988 – Superstars: The Powers Of Pain (The Barbarian & The Warlord) defeated Bob Emory & Chance McQuaid. October 22, 1988 – Superstars: The Powers Of Pain (The Barbarian & The Warlord) defeated Bob Blackburn & Larry Stephens. November 6, 1988 – Wrestling Challenge: The Powers Of Pain (The Barbarian & The Warlord) defeated Brian Costello & Sandy Beach. December 24, 1988 – Superstars: The Powers Of Pain (The Barbarian & The Warlord) defeated Joe Cruz & Lanny Poffo. January 8, 1989 – Wrestling Challenge: The Powers Of Pain (The Barbarian & The Warlord) defeated Bob Emory & Omar Atlas. January 15, 1989 – Royal Rumble: Barbarian entered the Royal Rumble at number 26 but was eliminated by Rick Martel. January 21, 1989 – Superstars: The Powers Of Pain (The Barbarian & The Warlord) defeated Johnny Ziegler & Reno Riggins. January 29, 1989 – Wrestling Challenge: The Powers Of Pain (The Barbarian & The Warlord) defeated David Stoudemire & Rick Allen. February 18, 1989 – Superstars: The Powers Of Pain (The Barbarian & The Warlord) defeated Frankie Valdez & Riki Ataki. March 5, 1989 – Wrestling Challenge: The Powers Of Pain (The Barbarian & The Warlord) defeated Bob Blake & Dale Veasey. March 18, 1989 – Superstars: The Powers Of Pain (The Barbarian & The Warlord) defeated George Skaaland & Tony Roy. April 2, 1989 – WrestleMania V: Demolition beat The Powers of Pain and Mr. Fuji in a handicap match to retain the tag team titles. The Powers of Pain feud with The Rockers and The Bushwhackers throughout 1989 while also wrestling singles matches. July 22, 1989 – Wrestling Challenge: The Powers Of Pain (The Barbarian & The Warlord) defeated Chuck Williams & George Skaaland. July 29, 1989 – Superstars: The Powers Of Pain (The Barbarian & The Warlord) defeated Gary Wolfe & John Weiss. September 3, 1989 – Wrestling Challenge: The Powers Of Pain (The Barbarian & The Warlord) defeated Don Stevens & Mike Luca. September 9, 1989 – Superstars: The Powers Of Pain (The Barbarian & The Warlord) defeated Dale Wolfe & Tom Stone. September 17, 1989 – Wrestling Challenge: The Powers Of Pain (The Barbarian & The Warlord) defeated George Skaaland & Mark Frear. October 8, 1989 – Wrestling Challenge: The Powers Of Pain (The Barbarian & The Warlord) defeated Chuck Casey & Randy Fox. October 14, 1989 – Superstars: The Powers Of Pain (The Barbarian & The Warlord) defeated Larry Lawson & Mark Young. October 14, 1989 – King of the Ring: Jimmy Snuka defeated The Barbarian in the 1st Round of the tournament. October 14, 1989 – King of the Ring: Jimmy Snuka defeated The Barbarian in the 1st Round of the tournament..
November 12, 1989 – Wrestling Challenge: The Powers Of Pain (The Barbarian & The Warlord) defeated Bill Wood & Chuck Casey. ~~~The Powers of Pain were disqualified after executing a spike piledriver on Hulk Hogan. November 26, 1989 – Wrestling Challenge: The Powers Of Pain (The Barbarian & The Warlord) defeated Ray Oakley & Todd Becker. December 2, 1989 – Superstars: The Powers Of Pain (The Barbarian & The Warlord) defeated Brian Johnson & Tom Fuller. December 17, 1989 – Wrestling Challenge: The Powers Of Pain (The Barbarian & The Warlord) defeated James Saxton & Todd Becker. December 23, 1989 – Superstars: The Powers Of Pain (The Barbarian & The Warlord) defeated Larry Lawson & Randy Fox. Mr. Fuji sold the Barbarian’s contract to Bobby “The Brain” Heenan, and Warlords contract to Slick, splitting up the Powers of Pain. January 15, 1990 – MSG Network: The Powers Of Pain (The Barbarian & The Warlord) defeated The Rockers (Marty Jannetty & Shawn Michaels). January 21, 1990 – Wrestling Challenge: The Powers Of Pain (The Barbarian & The Warlord) defeated Mike Howell & Reno Riggins. February 3, 1990 – Superstars: The Powers Of Pain (The Barbarian & The Warlord) defeated Butch Stanley & Chris Walker. February 10, 1990 – Superstars: Demolition (Ax & Smash) defeated The Powers Of Pain (The Barbarian & The Warlord) by disqualification. February 18, 1990 – Wrestling Challenge: The Powers Of Pain (The Barbarian & The Warlord) defeated George Skaaland & Scott Fulton. December 14, 2002: The Powers of Pain reunite on an Indy show in Florida to face “Desperado” Joe Gomez and Cuban Assassin. The Powers of Pain occassionally team at Florida Championship Wrestling and International Wrestling Federation events. The Powers of Pain are wrestling in FCW (Florida Championship Wrestling and Warlord is their current Heavyweight Champion. October 30, 2004 – U of Virginia Children’s Medical Center Benefit Show: Animal and Rick Steiner beat Warlord and Barbarian. June 2005 – Gladiator Championship Wrestling: Animal “showed up late” and got into a brawl with Warlord and Barbarian. March 4, 2006 – Southern Championship Wrestling: Dennis Condrey and Bobby Eaton defeated The Warlord and The Barbarian. July 14, 2006 – JCW: Samu and Alofa beat Powers of Pain and Bump-N-Uglies and 2Tuff Tony and Corporal Robinson in a 4-WAY. 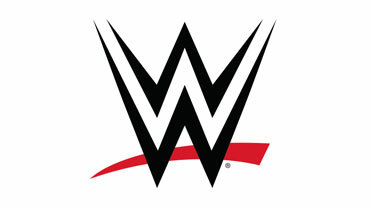 October 19, 2007 – Wrestle Fan Fest (S.F. ): The Powers of Pain w/Temptress defeated Kamala and One Man Gang w/Slick. April 12, 2008 – IWC: The Powers of Pain defeated Demolition by disqualification. September 26, 2009 – NWA New Jersey: The Powers of Pain defeated Baby Hughie and Rob Eckos. March 10, 2012 – BTW: The Powers of Pain and Raven defeated Shane Douglas, Eddie Delfonzo and Tony Delfonzo. September 14, 2012 – PWS: The Powers of Pain defeated Demolition by disqualification. September 16, 2012 – CHIKARA: The Powers of Pain was in a tag team gauntlet match won by Marty Jannetty and The 1-2-3 Kid. November 30, 2013 – WrestleCade: Caprice Coleman and Cedric Alexander defeated Demolition (Ax and Smash), The Powers Of Pain (The Warlord and The Barbarian), Rick Steiner and Buff Bagwell, Manny Fernández and George South, The Bravado Brothers (Harlem Bravado and Lance Bravado), The Headbangers (Mosh and Trasher) and The Rock N Roll Express (Robert Gibson and Ricky Morton) in a 8 tag team gauntlet match. June 14, 2014 – Wrestling with Disaster: The Final Cut: Alofa, Cliff Compton & Headshrinker Samu defeated The Powers Of Pain (The Barbarian & The Warlord) & Angel. July 12, 2014 – NWA Atlanta: Tradition (Andy Anderson & Tyson Dean) defeated The Powers Of Pain (The Barbarian & The Warlord). August 15, 2015 – LCW: Josef von Schmidt & Snitsky defeated The Powers Of Pain (The Barbarian & The Warlord). August 29, 2015 – APWA: Mass Destruction (ONYX & Viper) vs. The Powers Of Pain (The Barbarian & The Warlord) ended in a draw. February 16, 2016 – APWA: The Powers Of Pain (The Barbarian & The Warlord) & Kahagas defeated The Steiner Brothers (Rick Steiner & Scott Steiner) & Damon Divine. February 26-27, 2016 – BTW: The Rock ‘n’ Roll Express (Ricky Morton & Robert Gibson) defeated The Powers Of Pain (The Barbarian & The Warlord) in a steel cage match. March 5, 2016 – BCW: Demolition (Ax & Smash) & Remy Lavey defeated The Powers Of Pain (The Barbarian & The Warlord) & Andrew Anderson. March 25-26, 2016 – BTW: The Rock ‘n’ Roll Express (Ricky Morton & Robert Gibson) defeated The Powers Of Pain (The Barbarian & The Warlord) in a steel cage match. October 7, 2017 – NCWA: Henry O. Godwinn, Jimi Love & The Mid-Atlantic Outlaws (Louis Moore & Matt Houston) defeated Dee Mack, The Almighty Sheik & The Powers Of Pain (The Barbarian & The Warlord).